This post was originally about GiddyUp, an iPhone app for organizing meetings with friends. The app no longer exists, so we’ll show you how to use WhenIsGood as a replacement. Meeting up with friends 6 Must-Know Apps to Make FREE Group Conference Calls 6 Must-Know Apps to Make FREE Group Conference Calls Video conference calls are much easier than they once were. Here are six fantastic services for free group video calls, good for both personal and business use. Read More can become tricky. Even if you’re not trying to meet faraway friends halfway 5 Apps to Find Halfway Points to Meet with Faraway Friends 5 Apps to Find Halfway Points to Meet with Faraway Friends Meeting friends at a halfway point is a better idea than travelling all the way. You just have to find a good meeting place. Here are five tools for finding the ideal meeting point. Read More , just finding a time when everyone is available can take ages. Next time you need to pick out a meeting time, no matter how many people are involved, you need to check out WhenIsGood. Click over to the site and choose Get Started. You’ll see a grid of days, broken up into one-hour increments. By default, this will show a period of about 20 days into the future with 6 AM to 8 PM available. To change the time increments, click 15 min, 30 min, or day in the upper-left. Click Show Options in the bottom-left corner to change more about your calendar. Here, you can change the days available on the schedule, completely hide days or the week, or adjust the times shown. You can also include a custom message for recipients, specify the meeting duration, and hide dates for generic weekly meetings. Check the Use timezones button if you’re scheduling a meeting that spans multiple zones. Make sure to give your event a name in the right side box too. Once this is all set up, click and drag to paint over all times that are good for you. Click Create Event on the right side to complete the setup, then note the code the site provides. You’ll then see a URL you can send to your attendees so they can also paint over the grid and specify when works for them. They’ll only see times you’ve specified as good for you. After everyone has responded, use the results link to see what times work for everyone. If you’re going to use the service often, it’s a good idea to create an account. This lets you keep track of multiple events without juggling the codes. If you don’t have anyone to meet up with, perhaps you should find some people with similar interests 6 Tools to Find Awesome People with Similar Interests 6 Tools to Find Awesome People with Similar Interests Connecting with new people can help you get more out of life. Take the plunge and start making new friends who share your interests Read More to you! 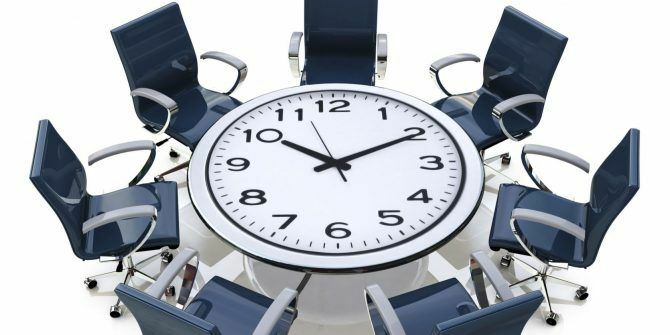 How long have you spent trying to find the best time for a meeting? Will this tool prove useful to you? Let us know in the comments!